What are you wearing? Target denim shirt, Zara jeans, vintage handkerchief, Steve Madden boots. Describe your style: Always on trend with GQ/Vogue ideas that I make my own. I always have a pop of color to catch the eye. Favorite Dolly look? The red dress with the dramatic shoulders in the movie "The Best Little Whore House in Texas." Favorite Dolly Song? “Why’d You Come in Here Lookin’ Like That”. What are you wearing? 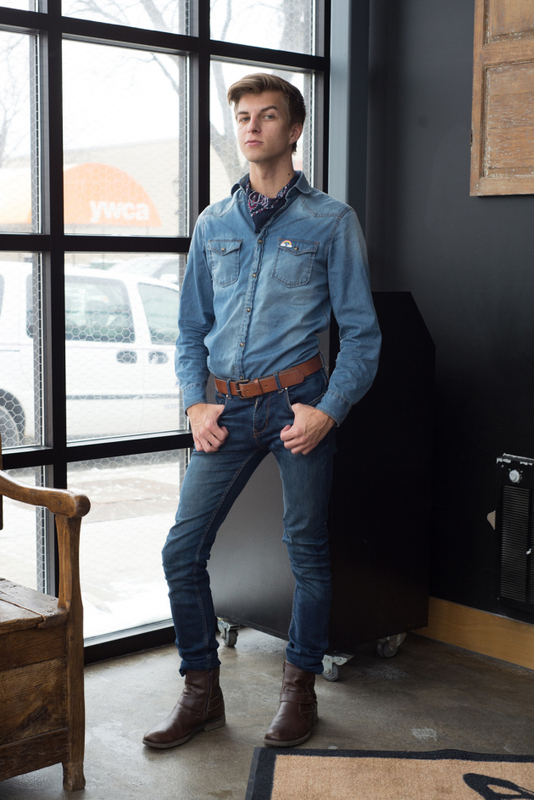 Frye boots, Levi's selvedge denim jeans, J Crew shirt from Unique Thrift, bandana from an antique store and hat from Madewell. 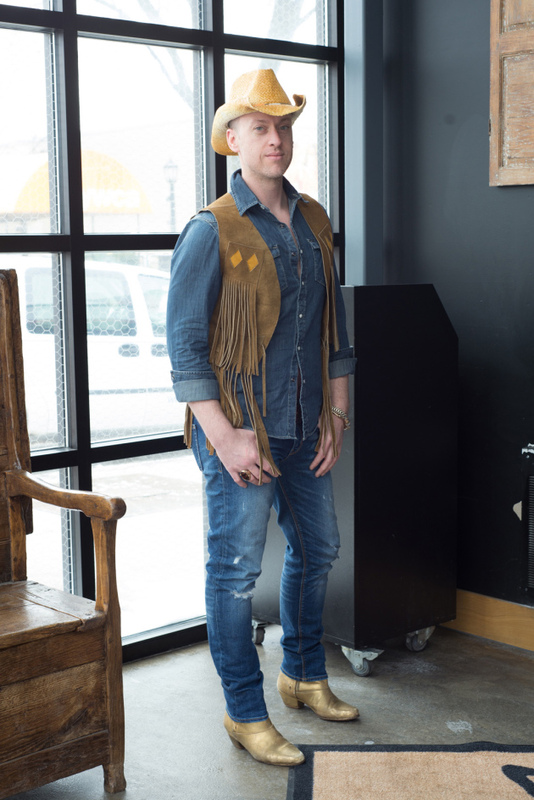 Describe your style: A little vintage and a little Americana. I love heritage brands paired with things I find antiquing or thrifting. Favorite Dolly look? Early-'70s Dolly: Lots of denim shirts with hoop earrings. What is it about Dolly that continues to make her an icon? Dolly ontinues to be active in the music community and her local community. A lot of her earnings and success go right back to the people of the southeast Appalachians. What are you wearing? USA winter hat, Buffalo Exchange flannel shirt, G Star Raw T-shirt, jeans from MartinPatrick3, boots from DSW. Describe your style: Urban-geek chic. Favorite Dolly song? “Coat of Many Colors”! What is it about Dolly that still makes her an icon? Her down to earth personality and the fact that she has such a diverse fanbase. Everyone loves some Dolly. What are you wearing? Vintage hat, Topman denim shirt, Gap jeans, vintage vest from Rewind Vintage, boots from Ragstock. Describe your style: Unconventional, trend driven, risk taker, with some flare. Favorite Dolly look throughout her career? Backwoods Barbie days — fiercely tacky yet fashionably fun! Favorite Dolly song? Just one?! Then “9 to 5”, followed by the iconic “I Will Always Love You”.